So believe it or not, I actually do like indie rock. And it's always a little exasperating when the presumption is made that since I've handed out some pretty harsh reviews to indie bands recently that I might dislike the genre - or hate good music in general, because that tends to be the hyperbolic jump-off point. Because while I might listen to plenty of pop and hip-hop and country, I still have a big spot in my heart for indie rock, and I'd much prefer to hear it on the charts than other miscellaneous crap that gets popular. However, I will admit that there are currently popular trends in indie rock of which I'm not exactly fond. The current brand of percussion-heavy, melody-light, reverb-and-effect-swollen brand of indie rock is not exactly my cup of tea, especially in comparison with the jangly edge of mid-80s college rock, the explosive distorted edges of the 90s indie scene, or the garage-inspired riff-based roughness of the early 2000s. And on top of that, I'll wholeheartedly admit that I tend to be harder on indie rock with grander ambitions and goals than acts that are just trying to make simple pop songs. Just because you step up to the plate with big ideas doesn't win credits in my books unless executed well. And thus it's been a real treat for myself to revisit the discography of The War On Drugs, the band that was originally formed as a collaboration between Adam Granduciel and Kurt Vile. I covered Kurt Vile last year with his album Wakin' On A Pretty Daze, but The War On Drugs is decidedly more Granduciel's project, with Vile departing on amicable terms after doing a bit of work on the band's excellent second album Slave Ambient, a record that features a blend of Dylan-esque vocals, mid-80s REM-inspired riffs, U2-driven bombast, and lyrics featuring potent journeyman themes and great songwriting. And considering their newest album Lost In The Dream, the first without any involvement from Kurt Vile, has been receiving rave reviews, I figured it was about damn time to give it more than a few listens. How did it go? My god, I wasn't expecting this. Not only is Lost In The Dream by The War On Drugs a goddamn great album that is actually a step ahead of Slave Ambient, but it might just be one of the best albums you will hear this year. And if anything, it gives me all the more reasons to point at the current state of reverb-saturated indie rock and then point as this album and say, 'This is how it's done, do better!' And even then, I feel that's selling short a record that I would consider one of the most gripping and emotionally compelling albums I've heard this year, especially on a thematic and instrumental level. And while there are a few flaws, they barely tarnish the whole of this album, which is beautifully organic, excellently written, and goddamn heartbreaking to boot. To begin, it becomes important to acknowledge that this really is Adam Granduciel's project - as much as it is a War On Drugs album, he considers it a solo outing and it's not hard to see why, as it's an album long-rooted in Granduciel's passions and angst, to say nothing of his perfectionist drive. And it does come across in his vocal performance, because while Granduciel is too oblique of a songwriter to lay everything bare, his Dylan-inspired vocal delivery is controlled enough to both reflect a man trying to perfectly capture an emotion and not oversell it, and someone trying to hold everything together on the edge of heartbreak. The incredible thing is that he manages to make it work and sound organic as hell. And the instrumentation reflects a similar balance, between gritty Americana in the vein of Springsteen and Neil Young and the spacey, almost effervescent synth lines that drift like clouds over the tracks. There is some tension between the very different production styles, with the synths and guitars occasionally jilting into off-kilter moments, but again, it's organic, with every guitar tone fitting seamlessly into the mix and complementing the melody line carried by the piano, which mostly sits towards the back of the mix unless a richer organ tone is required. And like Kurt Vile's last release, there's a hazy grit settling across most of the guitars, especially when the harsher edges of distortion materialize, albeit with a thicker layer of reverb. And unlike most modern indie rock, the reverb has a greater purpose: the spacious sound isn't just intended to evoke epic swell, but to conjure up the feel of being alone on the wide open road, just the journeyman musician, the dusty wind in his face stinging his eyes as he drives on and on. And there are so many beautiful instrumental moments - the harmonica on 'Eyes to The Wind', the mournful guitar slides in 'Suffering', the guitar solo on 'An Ocean In Between The Waves', the saxophone on 'Under The Pressure' and 'Red Eyes', the synth crescendo and interplay on 'Burning', and a moment of guitar swell on 'In Reverse' which might be one of the biggest emotional gutpunches you'll hear this year - but you all know me, the lyrics need to be there too. And that's where Adam Granduciel sticks the landing and turns this great album into something special - and honestly, it's not exactly because of startlingly great or varied wordplay. True to the genres from where he's drawing his influence, the songwriting is steeped in the wild dreams and journeyman stylings of the Boss, finding fleeting love and holding onto it as long as you can. But this is an album steeped in melancholy and desperation, trying to hold onto fleeting moments of love before it evaporates into the haze. The framing of the songs is impeccable, as Granduciel keeps chasing for that heady moment of love and exhilaration even though he knows his lifestyle will inevitably drive them apart - there will be that breaking point - and yet he's not going to stop trying. It's rooted in that deepseated earnestness that made Springsteen's music so powerful, and it's tempered with enough self-awareness to add real emotional stakes. He knows that until he finds that special moment of love, there's going to be heartbreak after heartbreak, and yet he's not going to stop looking, no matter how much it hurts. He just has to stare into the wind with reddened eyes and wonder if the women with the hearts he's broken feel the same - and he knows more often than not, they'll both forget as they keep going on. Look, at this point, I almost don't want to nitpick this. I do think the strong, more folk-and-Americana inspired songs are a little stronger in comparison to the slower, more ambient pieces, and I do think there are a few of those songs that are a little underwritten to fully encapsulate the poignancy of their lyrics, and yeah, there are a few songs that run a little long and might have benefited from a tighter edit, and if you're going in expecting Kurt Vile's brand of psychedelic verve you're not going to get it. But even with all of that, Lost In The Dream is incredibly strong, rooted in genuine emotion that gleans the best of its influences and makes it into something new. 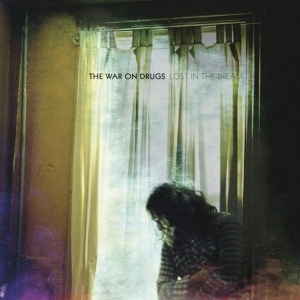 There are moments of poignancy and power on this record I don't think will be replicated this year, and while the melancholy might off-put some looking for a lighter touch, The War On Drugs have made an album that rewards patience and many, many repeated listens. This album is a 9/10 and I can't recommend this album enough. If you've got a passion for Springsteen and Dylan and the rock of the past, and want to see how it would look filtered through the melancholic lens of modern indie rock, you need to get this album - this is indie rock done right.